Veggies taste better when they are cheap. Am I right, or am I right? The other day, I found myself on my last few dollars for my food budget (oh the struggle!) So thought of a few ways I can get the most out of my dollar. Seven dollars to be exact. 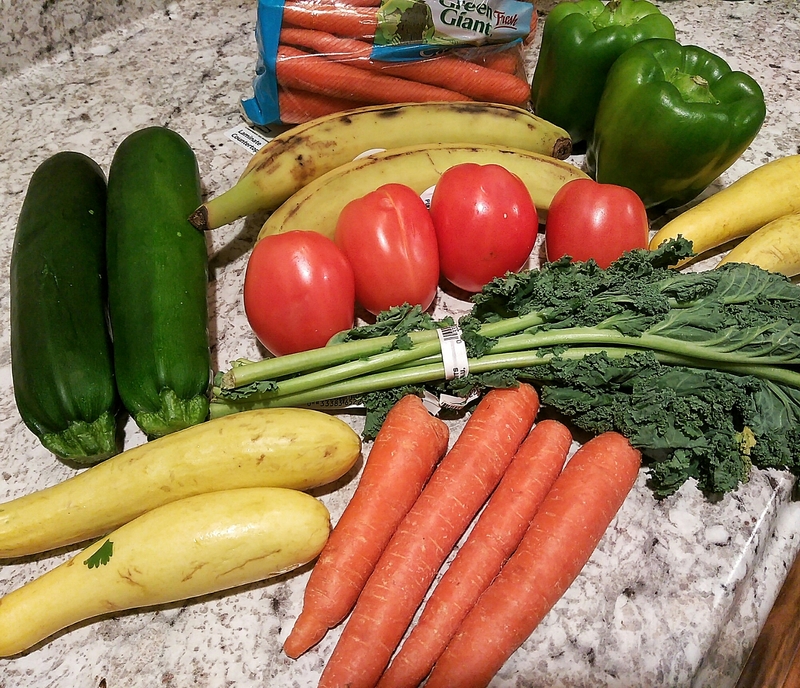 YES I BOUGHT ALL OF THESE VEGGIES FOR ABOUT 7 BUCKS! You should always keep an eye out for what’s in seasons. Better yet, figure out what’s in season in YOUR area. You can find out what’s local and what’s in season by checking out this ‘Seasonality Chart’ by Cuesa.org. These things aren’t very easy to find, but once you do, it’s like hitting the jackpot. You can find a Grocery Outlet California, Pennsylvania, Oregon, Idaho, and more. To find out if there’s one near you, here’s Grocery Outlet’s Store Locator. The way it works is that Grocery Outlet grabs the surplus from producers, which gives really great discounts TO YOU. I swear by the store! But they aren’t the only market in business which cheap foods to sell. You can find more discount grocery stores from this list by ExtremeBargins.net. I love fresh vegetables, but sometimes frozen is just the way to go. Dollar stores like The Dollar Tree have really awesome deals on frozen veggies. For a couple of bucks, I bought a couple of bags of veggies that I can mix and cook with a variety of dishes. The options for frozen vegetables are endless: peas, green beans, spinach, carrots, broccoli, bell peppers, onions, and so on. Stock up and keep it cold! Have random vegetables you want to use up? Make a stew! Although it can be a little time consuming, it’s almost always worth doing a little bit of coupon clipping or checking out the weekly ads. Change your grocery list, depending on what’s getting a pretty sweet deal. Oh, and here’s a goal for 2017: expand your vegetable palate. My secret? I used to hate mushrooms, but then I realized how inexpensive they were, I started learning how to love them. Suddenly, things just taste a whole lot better when they are easy on the wallet. Always plan in advance. Make a list and think about the meals you want to prepare for the week. If you’re buying fresh vegetables, it’s best to really consider your meals, because vegetables can and will rot if you take too long to eat them. Sail into 2017 with a plan!